Windsor Terrace is a small residential neighborhood in the northwestern part of the New York City borough of Brooklyn. As of the 2010 United States Census, Windsor Terrace had 20,988 people living within its 0.503-square-mile (1.30 km2) area. Its ZIP codes are 11215 and 11218. 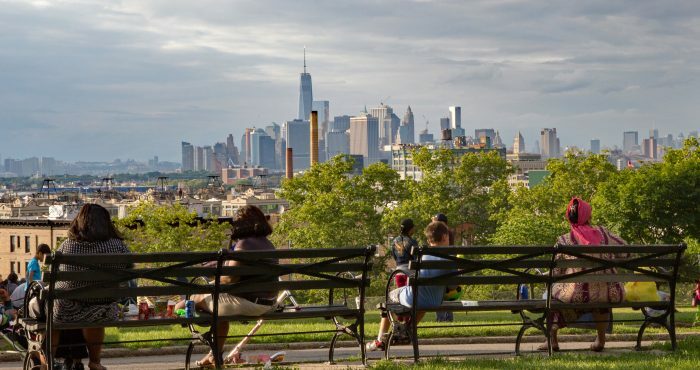 Windsor Terrace is situated between Prospect Park on the east and northeast, Park Slope to the northwest, Green-Wood Cemetery to the southwest, and Kensington to the south. It is considered to be within the area historically known as South Brooklyn. A part of Community Board 7, the neighborhood is patrolled by the NYPD’s 72nd Precinct and protected by FDNY’s Engine Company 240. 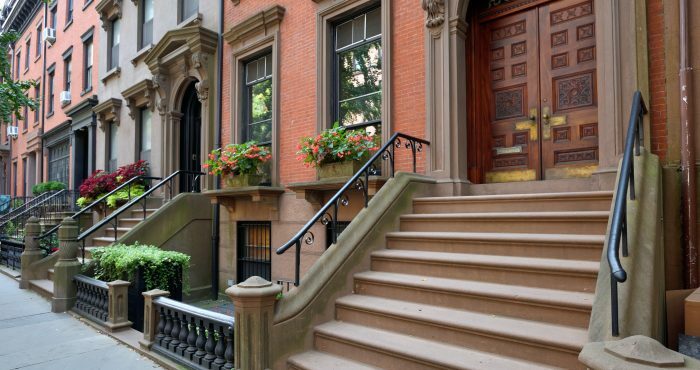 If you are a Windsor Terrace, Brooklyn, NY home buyer, our foremost goal is to provide you with exceptional customer service. Our goals are to help you purchase the right home, make sure you don’t miss out on any homes that meet your needs, and make sure you don’t pay too much for your next home. Please utilize our Windsor Terrace, Brooklyn, NY real estate expertise to make your home search and buying experience as stress free and rewarding as possible. 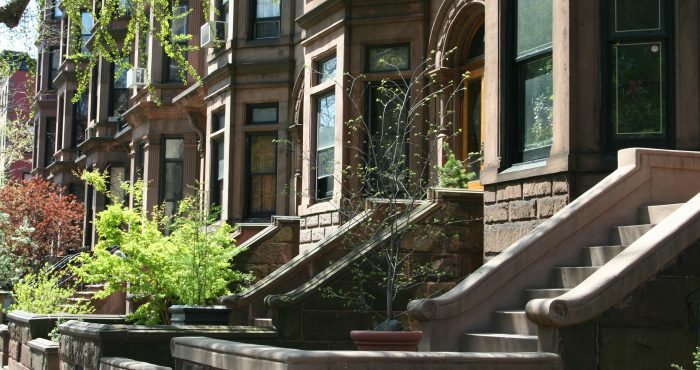 If you considering selling your Windsor Terrace, Brooklyn, NY home, we utilize the latest, cutting-edge, real estate marketing tools to expose your property to the widest range of potential buyers. We are here to get your house aggressively marketed to sell as quickly as possible and for the best price! 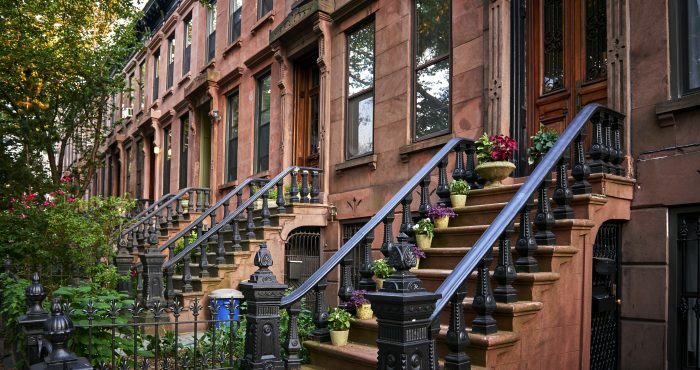 Our goals are to help you get your Windsor Terrace, Brooklyn, NY home sold, put you in the strongest negotiating position as possible, and to make it easier for you and reduce surprises. 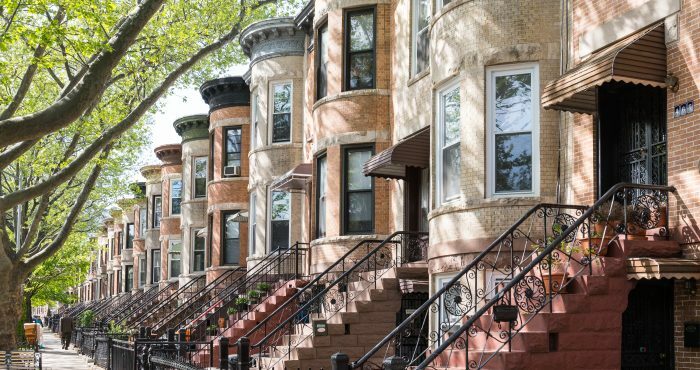 Windsor Terrace is home to mainly Irish-, German-, Polish-, and Italian-American families, many having settled in its brick row and wood-frame houses when the neighborhood was first developed. The overwhelming majority of residents – many of whom can trace their family histories in Windsor Terrace back multiple generations – are Irish-American. They are traditionally affiliated with either Holy Name Church and School (the church having been built in 1874 and the school having been built in 1923, both located on present-day Prospect Park W), or Immaculate Heart of Mary (located on Fort Hamilton Parkway in Windsor Terrace’s southeastern extremity). Other smaller Protestant denominations exist nearby, such as the Memorial Baptist Church at 16th Street and 8th Avenue, and Holy Apostles Episcopal on Greenwood Avenue. Over time, Windsor Terrace has become increasingly diverse, as Greek and Hispanic residents have moved in. There is also a small minority of Syrians, Maronite Lebanese, and Jewish-Americans. The local synagogue is the Chabad Jewish Center. There is also a newer place of worship, the Calvary Cathedral of Praise at Caton Place and East Eighth Street. Before the coming of Europeans to the New World, the area which is now Windsor Terrace was inhabited by the Canarsee Indians. Specifically, the Gowanus and Werpos tribes inhabited the surrounding area. The land, which was then in the far northwestern corner of the Town of Flatbush, was purchased as a farm by John Vanderbilt. Some parts of the land were also maintained by the Martense family, who owned land in the area through 1895. 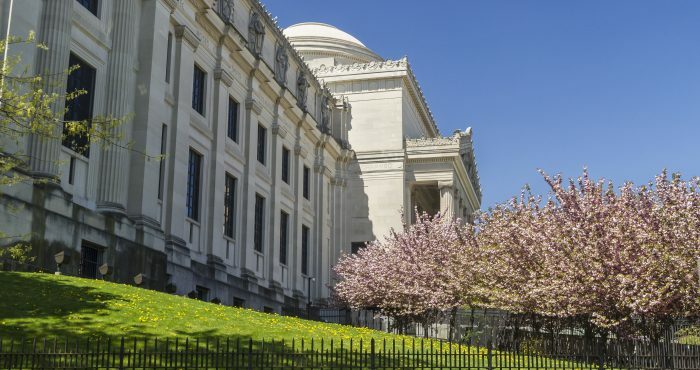 This area was desirable due to its proximity to downtown Brooklyn, as well as the recent construction of the Coney Island Plank Road through the area and of the serene Green-Wood Cemetery to the southwest. Following Vanderbilt’s death, his land was divided in two. Vanderbilt’s land were sold to William Bell, a real estate developer, in 1849. Bell subdivided the land into 47 building lots, and, unlike some other developers in the general area, was able to sell them rather quickly. Bell then renamed the area after one of the multiple places named Windsor in England. Bell sold part of the land to Edward Belknap in 1851, and Belknap subsequently built four streets on which he marked 49 lots for future “Pleasant Cottages.” The development was incorporated as the Village of Windsor Terrace, which was bounded by Church Avenue on the south, McDonald Avenue on the west, the Brooklyn–Flatbush town line on the north, and Prospect Park Southwest and Coney Island Avenue on the east. The Brooklyn Daily Eagle first referred to the area as “Windsor Terrace” in March 1854. By 1856, Belknap had lost his land due to foreclosure. The area was generally desirable due to its prime location in the far northeast of the Town of Flatbush; close to the City of Brooklyn, yet located far enough outside it that residents of Windsor Terrace were willing to move there for its suburban ambience; and within walking distance of Brooklyn Rapid Transit’s streetcar lines. Additional blocks were developed in 1862, when the village had 30 inhabitants living in twelve houses. The village kept growing through the 1870s, boasting a Protestant chapel by 1874, a public school by 1876, and its own volunteer fire department by 1888. The village remained rural in feel until around 1900, when row houses began to be built throughout the area, at first along Prospect Park SW. Between 1902 and 1919, builder and future Republican U.S. Senator for New York State, William M. Calder, erected 700 two-story homes along Prospect Park SW.
Development began to pick up pace around 1925 as rumors circulated that the neighborhood would soon be served by the New York City Subway. There were a lot of single-family and two-family houses being built, as well as stores being opened on 11th Avenue and two apartment buildings being erected on Prospect Avenue. Many of the new occupants of these residences were Irish-American workers, some of whose families then remained there for generations. The 1933 arrival of the Independent Subway System (IND) ushered in an era of apartment-building construction. 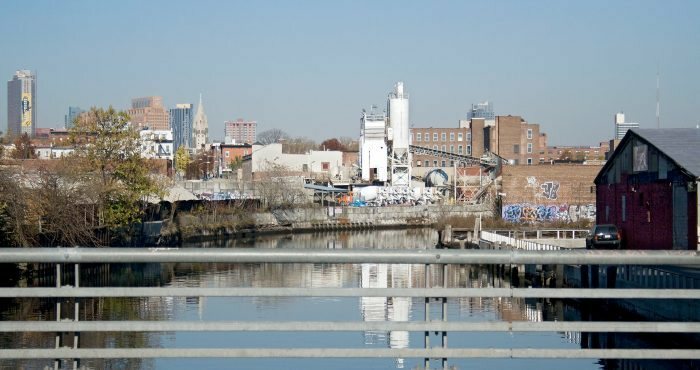 Even into the 1960s, Windsor Terrace was an isolated neighborhood with a quiet small-town feel to it, although the construction of the Prospect Expressway brought more through traffic into the area. Gentrification of the neighborhood began in the 1980s, with families who could not afford the prices in Brooklyn Heights and Park Slope coming to Windsor Terrace instead. Additional two-family housing funded with public assistance was built and sold by lottery. In the late 1980s, the neighborhood was rezoned to prevent the construction of high-rise buildings. By then, however, the area was in the throes of a gentrification that would last through the 2000s. In March 2015, Key Food, the only supermarket in the neighborhood, closed down (a common occurrence in other gentrified neighborhoods in Brooklyn). Shortly after, a food co-op, using the model of the Park Slope Food Coop, was in the process of being organized. The co-op, sometimes jokingly abbreviated as the “WTF Coop” (Windsor Terrace Food Coop), serves both as a supplier of food and a community focal point. The co-op is owned and operated by members who help organize food and unload deliveries. They each pay a fee of $100 for the right to eat food delivered by the co-op, which is cheaper than the food in nearby supermarkets. Only paying members can eat from the co-op, as in the Park Slope co-op. Meanwhile, a new, smaller Key Food is being considered for the old location. Windsor Terrace, which is part of Community Board 7, is generally located on a narrow, nine-block-wide spit of urban area, a “curved, somewhat comma-like shape” located between northwestern and central Brooklyn. This area lies between Green-Wood Cemetery to the southwest and Prospect Park to the northeast, split down the middle by the Prospect Expressway. 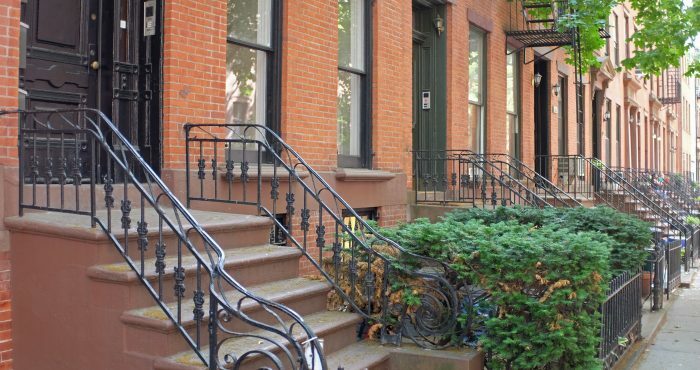 Adjacent neighborhoods include Park Slope to the northeast and Kensington to the south. According to The Neighborhoods of Brooklyn, Windsor Terrace is bounded by Prospect Park West on the north, Prospect Park SW and Coney Island Avenue on the east, Caton Avenue on the south and McDonald Avenue on the west. However, the Encyclopedia of New York City gives the boundaries as Seventh Avenue and Prospect Park W on the north, Prospect Park SW to the east, and Green-Wood Cemetery to the south and west. Other sources extend the northwest corner to Eighth Avenue along 15th Street and 20th Street. Windsor Terrace straddles the line between the original Dutch Colonial Brooklyn towns of Brooklyn and Flatbush, as can be seen from its street grid that is bent approximately northeast-southwest along present-day Terrace Place. Old South Brooklyn (which is actually in western Brooklyn) is located to the north in the direction of 11th Avenue, and the Town of Flatbush to the south, located in the direction of Seeley Street. The grid of old Brooklyn, which is tilted at an angle, is adjacent to the Flatbush grid, which is roughly aligned with the cardinal directions, at this juncture. The only other still-extant nuance of this ancient Dutch boundary is the legacy of original Catholic Parish boundaries, which are between Holy Name and Immaculate Heart, and ZIP codes applied much later (11215 to the north and 11218 to the south). In this area, Vanderbilt Place, named after John Vanderbilt, splits western Brooklyn’s general street grid (comprising numbered avenues from 1st–101st Streets) and southeastern Brooklyn’s general street grid (comprising lettered avenues from East 1st to East 108th Streets). There are three streets between 16th and 17th Streets in the Windsor Terrace street grid, since the streets diverge from each other from Park Slope eastward. The northernmost of the streets is Windsor Place, which runs between 7th Avenue and Prospect Park SW. The southernmost of the streets is Prospect Avenue, which continues southward to Fort Hamilton Parkway and northward to Third Avenue. Running between these two streets from 10th Avenue to Terrace Place, Sherman Place, named after Roger Sherman, a signatory of the Declaration of Colonial Rights, the United States Declaration of Independence, the Articles of Confederation, and the United States Constitution (and the only person to sign all four). The street name “Windsor Place” has actually been applied to two different streets throughout the neighborhood’s history. The current Windsor Place was formerly Braxton Street before the 1900s, while 16th Street between Prospect Park W and Prospect Park SW was known as “Windsor Place” before then. Even though Prospect Park W takes the place of 9th Avenue in the Windsor Terrace grid, it actually continues with the “Prospect Park W” name south of Prospect Park SW, which continues Prospect Park’s boundary southeastward, and 15th Street. Prospect Park W continues to Green-Wood Cemetery, ending there. The stretch of Prospect Park W between 16th Street and Green-Wood Cemetery has always been called the same name as the stretch adjoining Prospect Park; the entire street was formerly named 9th Avenue. 10th Avenue is co-named “John P. Devaney Boulevard” in this area after a firefighter who died while trying to rescue residents of a burning Red Hook building in 1989. East of Prospect Park W, 15th Street is named Prospect Park SW. At the convex bend between 11th Avenue and 17th Street, Prospect Park SW formerly continued as Coney Island Avenue. The southernmost stretch of Prospect Park SW, south of the bend, still has Coney Island Avenue’s street numbers. Traffic circles are relatively rare in New York City, but Windsor Terrace has three of them, all framing Prospect Park entrances along the park’s border. The northernmost, a medium-sized traffic circle named Bartel-Pritchard Square, is at the intersection of Prospect Park W, Prospect Park SW, and 15th Street, and contains an ornate entrance framed with two columns. Another traffic circle, a small circular asphalt pad that is largely delineated with paint and flex-barriers, is at Prospect Park SW and 17th Street. The southernmost, a large traffic circle named Park Circle, is at the convergence of Prospect Park SW, Coney Island Avenue, Parkside Avenue, Ocean Parkway, and Fort Hamilton Parkway, and was reconstructed in 2010. Park Circle’s entrance to Prospect Park is designed in a style similar to the Bartel-Pritchard Square entrance. By the 2000s and 2010s, an influx of residents seeking affordable family housing had pushed property prices up. In 2015, houses in various parts of Windsor Terrace sold for about $1.2 million to $2 million in 2015, and apartments cost from $400,000 for a one-bedroom apartment to more than $1 million for a three-bedroom apartment. Windsor Terrace is becoming more ethnically diverse and culturally active, owing to a demographic change since the 1990s, when the area had a more elderly population and not as many families with young children. The increased presence of many families with young kids has not indicated a significant cultural change in the neighborhood. However, despite the increased population, the area still maintains a bit of small-town atmosphere, with relatively low house turnover. A real estate broker who grew up in the area said that in Windsor Terrace, “everybody says hello” to each other, and a real-estate feature in The New York Times stated that “residents look out for one another at all hours of the day.” There is more on-street vehicle parking in Windsor Terrace than in nearby, more populous neighborhoods. The area’s lack of traffic lights, due to low traffic volumes, make Windsor Terrace feel like a small town, as do well-maintained one-family houses, some with covered balconies and stained glass windows; other houses with “bay windows, both rounded and faceted”; and yet other “clapboard Italianate” houses with multicolored cornices. There are a few apartment buildings, including Windsor Tower, a 10-story building that was downgraded from 22 stories after community objections; a 73-unit, seven-floor rental building that opened in 2015; and a condominium tower at 279 Prospect Park W, a former paint factory storage building that posed as a bank in the 1975 movie Dog Day Afternoon. The houses are of varying types, including some small one-story clapboard houses that have attics and date to the neighborhood’s development; larger two-story houses with basements and some wood framing on the exterior; and attached brick townhouses with either flat facades with normal-sized windows or curved facades with bay windows, both with two floors and a basement. The neighborhood is mostly residential, with some commerce along Prospect Park W, Prospect Avenue, and Fort Hamilton Parkway. The latter two corridors have seen an increased commercial presence since the 2000s, but these new stores are mostly family-owned businesses, with the exception of a Walgreens and a grocery store in the area. There are at least two bars (the Double Windsor and the Adirondack) as well as a combination cafe and food store called The Tuscan Gun; a combination pub and restaurant called Hamilton’s; a French restaurant called Le Paddock; and a Middle Eastern restaurant called Batata. The commercial streets are also lined with new “coffee shops, yoga studios and vegetarian restaurants” that have popped up since the area’s gentrification. The neighborhood is patrolled by the New York City Police Department (NYPD)’s 72nd Precinct, located at 830 4th Avenue in Sunset Park. The precinct (which includes Sunset Park, Park Slope, and South Slope) has been historically relatively safe. As of 2015, the 72nd Precinct reported 3 murders (5 in 2001), 20 rapes (32 in 2001), 212 robberies (410 in 2001), 225 felonious assaults (259 in 2001), 212 burglaries (545 in 2001), 388 grand larcenies (285 in 2001), and 106 grand thefts auto (403 in 2001). New York City Fire Department (FDNY) services are provided by Engine Company 240 located at 1307 Prospect Avenue, within the neighborhood. It supersedes a volunteer fire department created in 1888. Brooklyn Fire Department Engine 40 was created with that number on January 20, 1896, moving into a firehouse at 1307-1309 Prospect Avenue (which is now a city landmark). The company was incorporated into the FDNY as Engine Company 240 on January 1, 1913. Windsor Terrace is a heavily Democratic area; in the 2012 presidential campaign, President Barack Obama had between 65% and 80% of the vote in the neighborhood, with some of its districts reporting more than 80% voting for Obama. In 2008, 91% of people in New York’s 11th congressional district, where Windsor Terrace was located, voted for Obama, compared to 9% for rival John McCain. Windsor Terrace is part of the 21st State Senate district (represented by New York State Senator Kevin S. Parker since 2002), and the 44th State Assembly district. It is part of District 39 in the New York City Council; since 2010, Democrat Brad Lander has held the seat. Windsor Terrace was once part of New York’s 11th congressional district, but following redistricting in 2012, the neighborhood became part of the 9th congressional district. In the 2016 Democratic presidential primary, Hillary Clinton narrowly won the primary in Windsor Terrace, receiving 2,756 votes (51.8%) to Bernie Sanders’s 2,568 votes (48.2%) with a total of 5,324 Democrats voting. Windsor Terrace had relatively few Republican primary voters. Just 371 voters cast ballots in the 2016 Republican primary, with 197 people (53.1% of the Republican electorate in the neighborhood) voting for Donald Trump, 120 for John Kasich (32.3% of the Republican electorate), and 54 for Ted Cruz (14.6% of the Republican electorate). The neighborhood public schools, P.S. 130 Parkside School on Ocean Avenue and P.S. 154 Windsor Terrace School on 11th Avenue, are well regarded. Each school features a number of special enrichment programs for students, such as chess and journalism. Although P.S. 154 initially received a “D” grade under New York City’s school grading system introduced in 2007, both public schools received “A” grades in the 2010–11 New York City Department of Education (NYCDOE) Progress Reports. However, while P.S. 130’s rating remained an “A” through the next year, P.S. 154’s rating went down to a “C” in 2012, due to its “D” grade in the “Student progress” section, which comprises 60% of the annual progress grade at each school. In 2013–2014, 64% of P.S. 154 students met or exceeded Common Core standards in the English Language Arts (ELA) exams and 65% met or exceeded the standards on the math exams. However, at P.S. 130, just 32% of ELA test-takers met or exceeded standards, and only 41% did so on the math test. The NYCDOE district in which the schools are operated, District 15, was rezoned in 2014 due to an increased enrollment in the two schools; some students formerly zoned to P.S. 154 are now zoned to P.S. 130. This rezoning proved contentious, with some rezoned students’ parents saying that the rezoning requires some students to travel over 0.5 miles (0.80 km) across “two highways” to get to school. In addition, since the rezoning, P.S. 154 has seen an increase in enrollment despite its decreased student catchment area; in 2016–2017, the school had its first-ever student waiting list, amid cuts to the school’s pre-kindergarten program. There is also another public school nearby, P.S. 295 on 18th Street in Park Slope, to accommodate extra students from Windsor Terrace. In the 2012–2013 NYCDOE Progress Report, this school also received an “A”, garnering a quality score of 60.2 out of 100. There are no middle schools in Windsor Terrace proper, but J.H.S. 88 is located on 544 Seventh Avenue in Park Slope. Brooklyn College Academy operates an annex site for freshmen and sophomore high school students at 350 Coney Island Avenue, with the juniors’ and seniors’ building at Brooklyn College. The St Joseph the Worker Catholic Academy opened in 2012. This Catholic school is a consolidation of Holy Name of Jesus and Immaculate Heart of Mary’s elementary schools into Holy Name’s existing infrastructure on 9th Avenue, offering Pre-K(3) to 8th Grade, including Honors Classes and after school programs. Another Catholic school, Bishop Ford High School, formerly operated at 500 19th Street in Windsor Terrace from 1952 to 2014. It closed in June 2014 due to lowered revenues from declining enrollment, with only 25% of its 2006 enrollment. The former school site is now the location of K280, a pre-kindergarten school. The Brooklyn Public Library’s Windsor Terrace branch is located at East 5th Street at Fort Hamilton Parkway. It began as a deposit station in 1922, but after 1940, service was intermittent after the library moved to a makeshift structure created out of two old streetcars. In 1969, it moved again into the current library building, which had been completed that year. The library was renovated in 1994, and again in 2011. In 2016, a campaign was started in which people were to “like” the library’s Facebook page so that the library could get a garden; this was part of an initiative in which Facebook users from Brooklyn can vote on which Brooklyn Public Library branches could get $5,000 of extra funding for various programs. Windsor Terrace is served by the New York City Subway’s 15th Street–Prospect Park and Fort Hamilton Parkway stations on the IND Culver Line (now carrying the F and ​G trains). 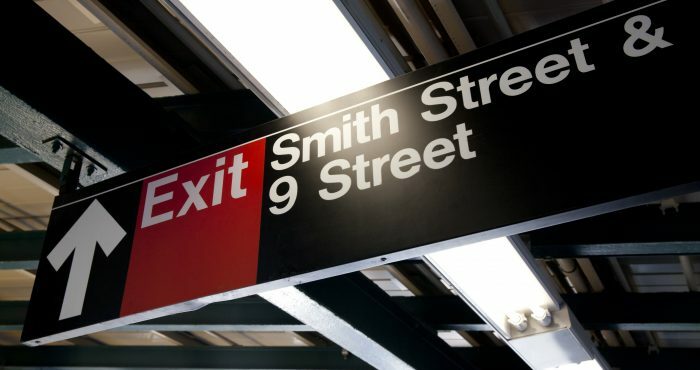 The section of the line containing these two stations opened on October 7, 1933, as part of a “temporary” extension to Church Avenue in Kensington, where it was to have connected with Brooklyn–Manhattan Transit Corporation (BMT) subway services via a ramp to Ditmas Avenue. The former station, 15th Street, has stone entrances set into the park walls. The latter station, Fort Hamilton Parkway, has a long passageway due to its unusual location under the Prospect Expressway; its three entrances (one on Fort Hamilton Parkway itself, and two on Prospect Avenue) straddle the expressway, which splits the neighborhood in two. As elsewhere in Brooklyn, trolley service, operated by the BMT’s rapid transit arm, ran in the neighborhood well into the 1950s and early ’60s. The Seventh Avenue Line (now the B67 bus route) was converted from trolley to bus operations in 1951, and a year later, the Vanderbilt Avenue Line (now the B69) was similarly converted. A trolley barn, located between Green-Wood Cemetery and the Prospect Expressway, formerly served the Culver and Crosstown trolley lines on a site where a former federal prison was located during the American Civil War. It was replaced in 1962 by the Bishop Ford High School. Kensington Stables is the only remaining stable near Prospect Park. In the days where horse stables saw a lot of business, there were many dozens of stables in the area. The barn was built in 1930 as the last extension of the riding academy at 11 Ocean Parkway, 57 Caton Place (built in 1917). The original riding academy closed in 1937 and is now a warehouse. By around the 1940s, the stables started to disappear, with some being converted into bowling alleys or roller skating rinks, and others just disappearing. Today, Kensington Stables gives lessons in The Shoe in Prospect Park. Kensington Stables now exists on the Windsor Terrace side of the border between Kensington and Windsor Terrace. Bartel-Pritchard Square, in Windsor Terrace’s northern extremity, is a traffic circle at the intersection of Prospect Park W, Eighth Avenue, 15th Street, and Prospect Park SW. Its name commemorates local residents, Emil Bartel and William Pritchard, who died during World War I while in combat. The circle, which was dedicated under its current name in 1922, originally had a flower garden in its center. A black granite monument in the center of the circle—installed in 1965 as a result of a donation by Patrick J. Devaney of Post #964, VFW of the U.S.—memorializes Bartel and Pritchard. One side has the inscription “In memory of the men / of this community who / have given their lives / In wartime service/ to their country / Erected by / Patrick J. Devaney Post #964 / V.F.W. of U.S. / 1965” while the other side has the inscription “For Valor / and / Sacrifice / 1965”. Like similar structures such as Times Square and Herald Square, the Bartel-Pritchard Square is geometrically not a square, despite its name. The park entrance adjoining Bartel–Pritchard Square is shaped as a gateway between two Stanford White-designed granite pillars with “what appears to be huge bronze lanterns” adorning the pillars’ apexes. The pillars, which are based on an acanthus column in Delphi with sculptures on top, were unveiled in 1906, shortly after White had died. The Engine Company 240 Battalion 48 firehouse on Prospect Avenue in Windsor Terrace was built in 1896 in the Romanesque Revival style. It is constructed of brick, limestone, and slate. It was named a New York City Landmarks Preservation Commission (NYCLPC) landmark in February 2013. 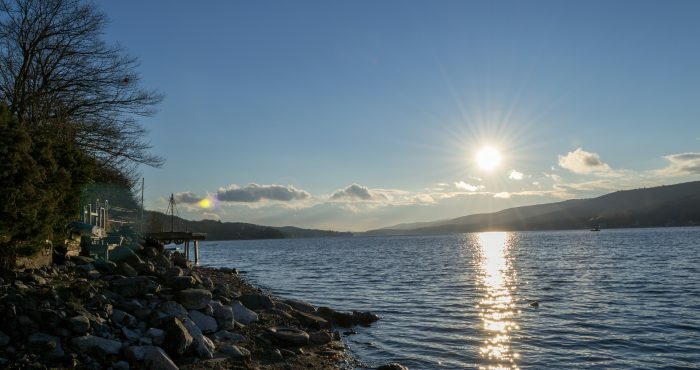 Its lookout tower hails from a time where fire alarm systems were nonexistent. Since at least 1908, Windsor Terrace has had its own movie theater since the Marathon Theatre opened at present-day 188 Prospect Park W in 1908. The 500-seat Marathon Theatre had a Wurlitzer organ installed in 1927, shortly before its 1928 demolition. In August of that year, the 1,516-seat, Art Deco Sanders Theatre was opened on the site of the former Marathon Theatre, where it operated for half a century before its closure in 1976. The building stood vacant for twenty years after that, and investors bought the building in 1993 in hopes of reopening the theatre. The Pavilion Theatre, a 3-screen movie theater within the defunct Sanders Theatre building, opened in 1996 to positive reception from the surrounding communities, which had experienced a cultural decline in prior years. The theater, which expanded to 9 screens in October 2004, suffered from complaints about broken toilets, poorly maintained seats, and sticky floors, as well as a rumor of bedbug-infested upholstery and malfunctions in the theater’s heating system. In October 2016, the building was closed in preparation for conversion to a 7-screen, 650-seat theatre. Operated by Nitehawk Cinemas, the refurbished Pavilion Theatre, where patrons would be able to dine and watch movies simultaneously, would be Nitehawk’s second movie theater within Brooklyn. As part of the one-year-long, $10 million renovations, the theater would remain largely unchanged except for the addition of a new marquee and an enlargement of the theater’s windows. The original plans for the building were to build a 24-condominium building next to the theater, and for the theater’s floor space to be shrunk. Farrell’s Bar & Grill, at 16th Street and Prospect Park W, is a noted community institution that has been continuously run by three owners since 1933. Famous among the fire and police officers who live in the community, it is said to be the first bar in New York City to get its liquor license at the end of Prohibition. It has been used as a standard bar backdrop in many film sequences. Until 1971, when Shirley MacLaine and Pete Hamill went into the bar during the filming of Desperate Characters and demanded that MacLaine be served, Farrell’s only served men. Farrell’s, which known for being open every day from 10 a.m. to 3 p.m., was closed for a nine-day renovation in 2006, marking the bar’s longest duration of closure since Prohibition ended. Its iconic styrofoam cups filled with beer, a tradition since its cardboard “containers” were replaced by Styrofoam “containers” in 1985, were discontinued in 2015 following a citywide ban on Styrofoam food implements. Due to Windsor Terrace’s topography, there is a terminal moraine that ends in Windsor Terrace, creating a steep slope. As a result, at the location where the intersection of Seeley Street and Prospect Avenue would have been; Seeley Street uses a concrete arch bridge that spans 8 ft 7 in (2.62 m) above Prospect Avenue. The 143.7-foot (43.8 m) bridge was built by 1903 at a cost of $22,000, and is supported by underpinning since the IND subway runs under Prospect Avenue at this point. While street bridges that span other streets are more common in the hilly Bronx, they are rare in Brooklyn. This particular bridge does not appear on contemporary maps. The bridge has a stairway on its side that connects the two streets. Interested in Windsor Terrace Real Estate?